Smoky Bear’s – a Triple Threat!!! I’m fortunate to live in Corbin, Kentucky, because we have one of the greatest Bar B Q joints I’ve ever eaten in!!! 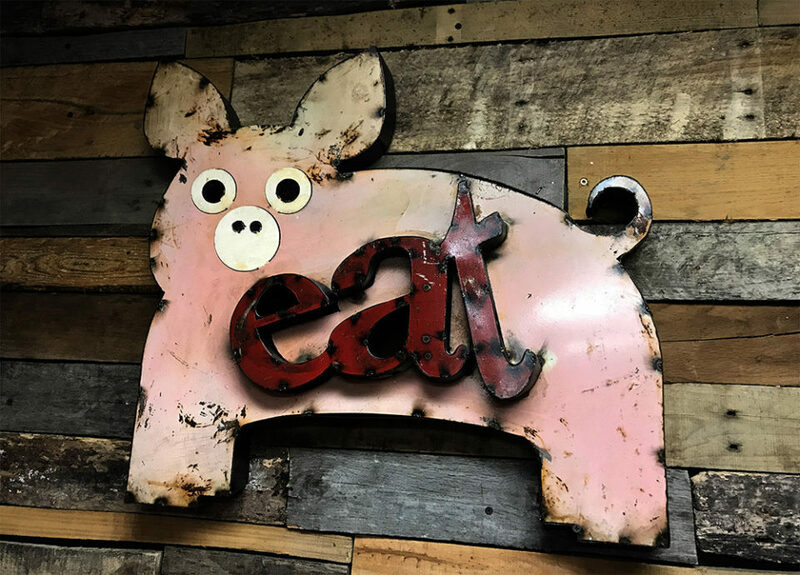 Smoky Bear Bar B Q is a local favortie and a destination for Bar B Q lovers across our region. Their Jailbreaker sandwich (A toasted Keyser bun , toasted, butterd and seasoned, loaded with crunchy bacon piled high with tender pulled pork topped off with fried onion tanglers! Smothered with their homeade ranch dressing and spectacular Bar B Q sauce.) Brother yo uhave to try this one!!!! They have a lot of other great stuff on the menu, super tender Brisket, Outrageous ribs and believe it or not a Killer 5 Pickle, Bill Fortney Approved Cheeseburger!!!!! The atmosphere is pure Kentucky down home Bar BQ with a lot of cool signs, one of my favorite below! The crew at the place; Owner, Barry Mays, Managers, Andrew Kerr and Robert Craft (not the owner of the Patriots, different one) and Wes Garlic along with our waitress, Tesla Wynn and last, but certainly not least, the cooks, Justice Mills, Robert Gambalt and Clifford Fisher, really did us right!!! Where is this place, just ask anyone that doesn’t look hungry around Corbin and they would be glad to tell you!!! 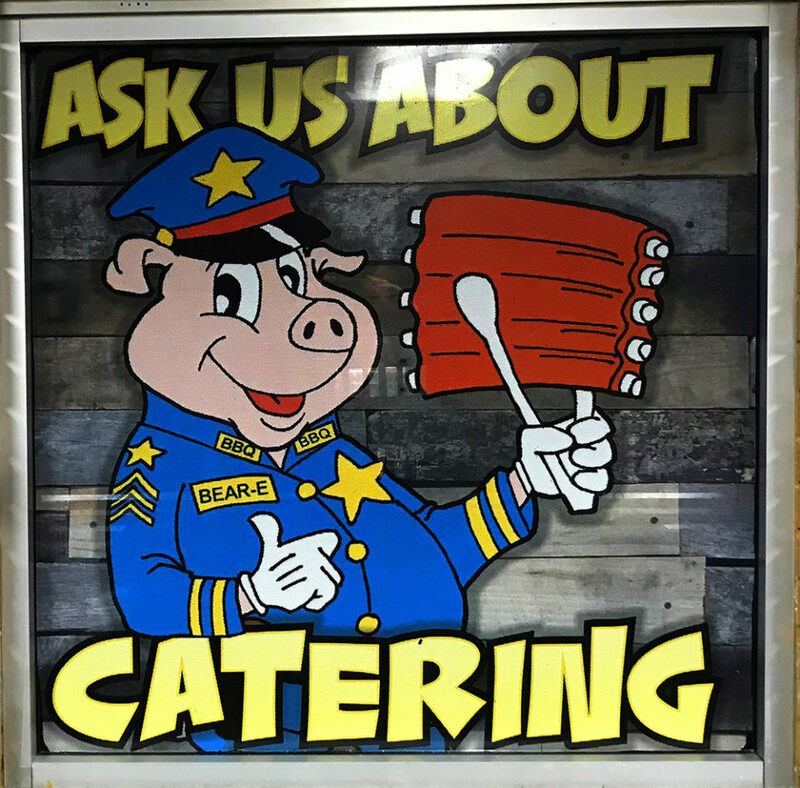 ( 1509 American Greeting Road, Corbin, KY) So drop by and have a Jailbreaker, or the Jail Bird or the Prison Yard Salad, (lots of our law enforcement folks love the place!!!) Seriously if you love Bar B Q and want some with some real character and a lot of nice folks around you, you have to check this spot out!!! 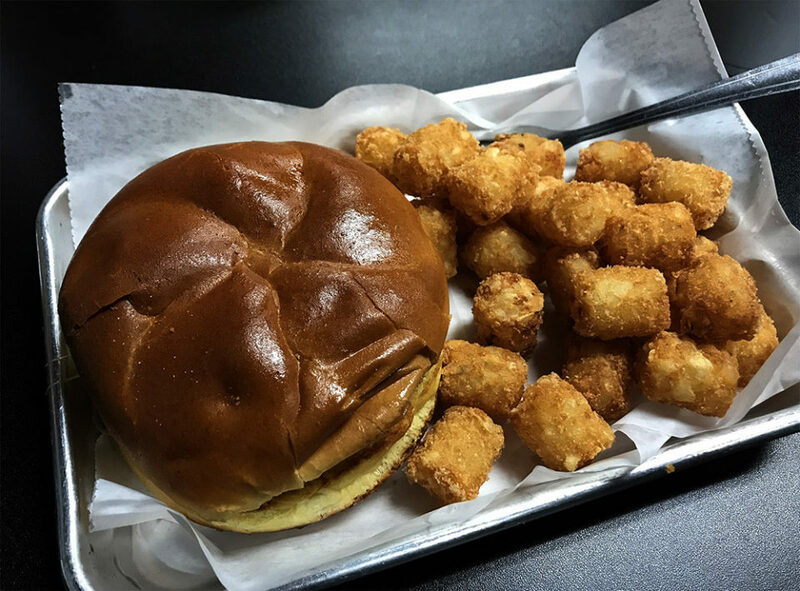 …..and did I mention the burger???!!! How good is the Bar B Q? It was the only trusted place we would cater for when Ricky Skaggs and Kentucky Thunder came to Renro Valley and we hosted a pre concert cookout, they loved it!!! Ricky gave it 5 stars and called it, “some real great hog meat!! !” Doesn’t get better than that!!!! Love your food reviews Bill. Thanks Dave,come to Corbin and let me take you to lunch! I’m going to have to figure out how to include a stop at this place on my yearly trip(s) to the Great Smoky Mountains. I always try to include a stop on the way down and back at a Skyline Chili restaurant, but maybe I’m going to have to trade one Skyline Chili meal for a stop at Smoky Bear’s. It would be a good trade, and it would be on me!!!! Thanks for this post. I try your suggestions when I’m by one. Always good. My last time through Corbin I thought I had the address but never found it. Will try again. Please do you will love it! yup … that looks like a very healthy low calorie meal ….. OK, count me in!!! You come down and see me and it’s on me, we can even go to the range!!! !